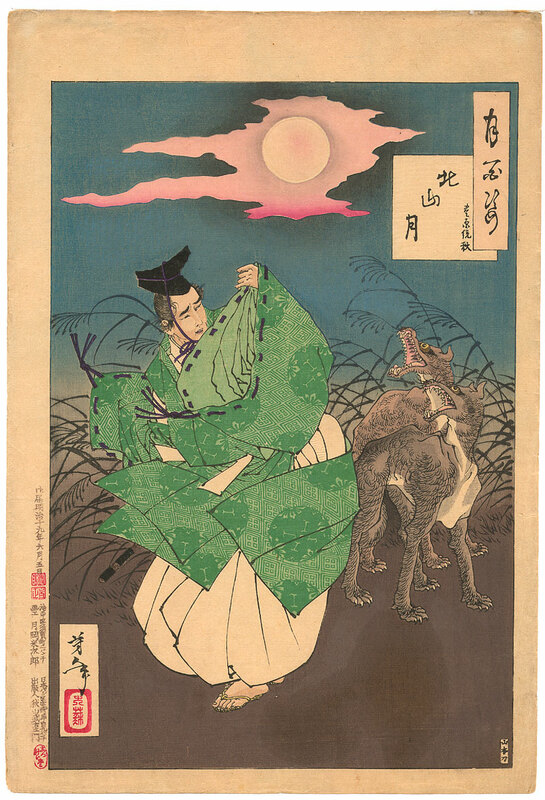 On a moonlit night, Sumiaki went out onto the moor to play his flute. He was quickly surrounded by a pack of wolves, but he took out his flute and played anyway and the wolves became spellbound listening to him. They quietly returned to the woods after the performance.